A simple and ideal plan for modern homes with three bedrooms with an additional dining area attached to the kitchen for maximum functionality. 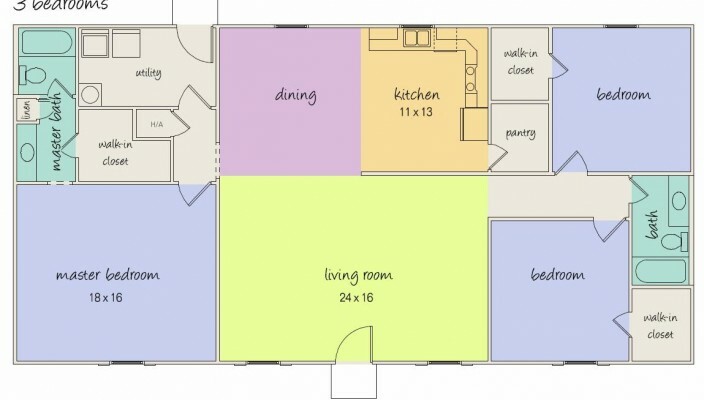 This plan is an ideal for modern homes with three bedrooms. The design mainly appeals for its functionality and easy usability, and for spaces where space is not a constraint, the plan can work well. The living room is at the center, while the master bedroom with master bath is on the left. Dining area has been designed parallel to the kitchen for maximum functionality. Two small bedrooms can be used for the kids and guest as desired.